A design pattern is a solution to a commonly occurring problem. The design patterns are not a finished solution. It is a template for “how to solve a design problem?”. The design patterns are the language and implementation independent. In the process of developing Object-Oriented Systems, we have two phases. Object Oriented Analysis(OOA) – Addresses the functional challenges of a system and mainly focuses on “what the system does?”.OOA provides guidance for implementation. 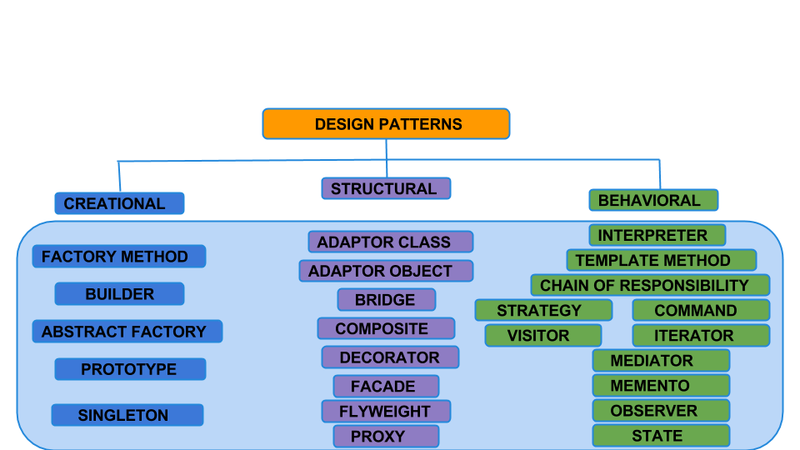 The design patterns are classified into three categories. In the coming days, we will discuss each design pattern in detail.